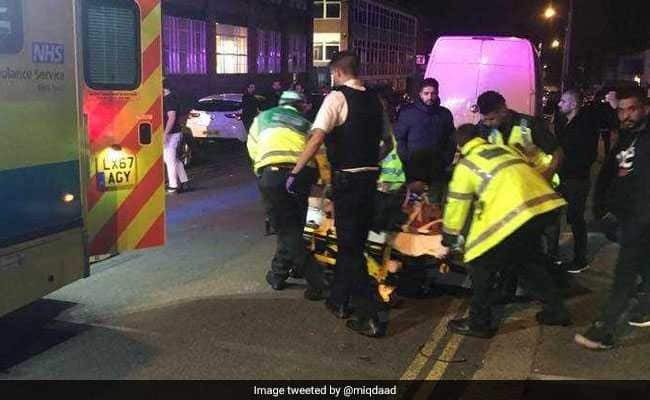 LONDON — On September 19, two people were hospitalized after a car reportedly hit pedestrians near a Muslim community center in northwest London in an incident police said was being investigated as a possible hate crime. There were reports people in the car had made Islamophobic comments before leaving the scene in the borough of Brent, police said. “This incident is not being treated as terror-related, but the hate crime aspect of the collision is being looked at by detectives as an aggravating factor,” London’s Metropolitan police said in a statement on Wednesday morning. Officers were called to the scene just after midnight. The two hospitalized people only have minor injuries, the force said. A statement by police said the occupants, three men and a woman all in their mid-20s, had been asked by security staff at the Hussaini Association community center in Cricklewood to leave its private parking lot prior to the incident. Hassan Naddi, head of security at the Hussaini Association, told CNN that the incident happened as approximately 1,500 people were leaving after the event to mark Ashura, one of the holiest days in the Shi’a Muslim calendar.